Guest house potential business or home€. The choice is yours!! there is nothing like a luxurious lifestyle in a class of its own. 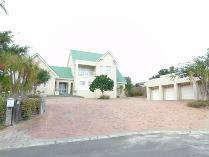 This lovely home with breath taking views is situated in the very well known area haasendal. It offers you lots of space with more than enough rooms for the family and extra guests. A central part of the home is the open-plan gourmet kitchen with breakfast bar and a lovely flow from the living areas, leading outside to the pool and garden. 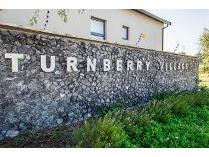 There is a one bedroom flat let with full bathroom, kitchen, lounge and separate staff accommodation. With three standard sized garages and one tandem that parks three vehicles, parking is not a problem. 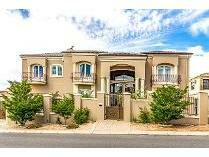 This high end luxury property needs to be seen to be appreciated in its entirety! Zevendal - unique! modern! new! 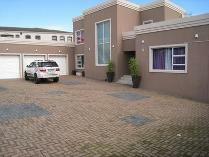 5 bedroom house for sale! spoil yourself!zevendal estate is nestled in the zevenwacht wine route, which offers a peaceful lifestyle close to nature, beautifully landscaped open spaces and state of the art 24 hour access control with electric perimeter fencing. This 5 bedroom and 3 bathroom house has a unique character and will tick off all the boxes on your checklist. The open plan flow of the house consists of sitting / dining / living area, huge scullery and a well equipped modern kitchen with the latest trends in kitchen cupboards! all of the best! all 3 bathrooms are stylish and compliment this magnificent house. 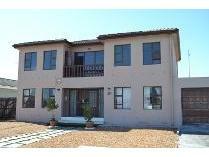 For your convenience, the double garage with extra space has direct access into the house and perfectly planned for the cape town winters. 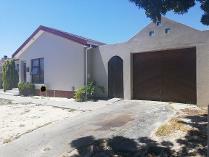 There is a covered "stoep" and patio with a lovely stainless steel braai. The house has a natural earthy look throughout and makes it easy to see yourself living there. 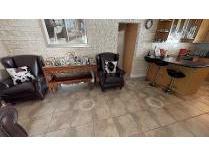 The care and attention to detail of this house is obvious with high quality fixtures and fittings throughout. Why live here? 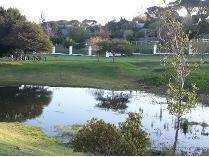 zevendal estate offers it all and is conveniently located by being close to all amenities i. E. Kuils river netcare hospital, modern shopping mall facilities, 20 min from somerset west or cape town airport, etc. 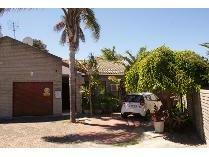 Levies:r710 p/m live your dream – call today to view! A modern family home with stunning views from the balcony's. 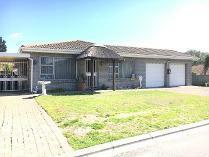 This property is situated in the popular rouxville area, close to shopping centers and easy access to main roads. 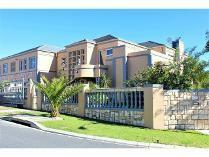 Open plan living from kitchen, dining and family room, that leads out to the braai patio. 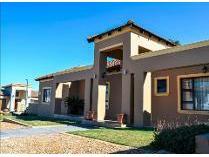 Consist of 5 bedrooms, 3 bathrooms, and double garage. 2 bedrooms downstairs and 3 upstairs. Main bedroom have a en suite and balcony, with stunning views. A must view! make your appointment today!